Brian Tracy is an international success coach. He has produced a Podcast series entitled “21 Great Ways To Double Your Productivity.” In this installment of that series, Brian Tracy discusses how to double your output by using the ABCDE Method. You will find the principles discussed in this article simple to implement in your life. The ABCDE Method by Brian Tracy is hands-down one of the most effective time management methods anywhere. Brian Tracy says that in order for you to achieve success, you will need to learn to identify and work on your most important tasks until they’re complete. The ABCDE method will help you find your most important tasks and prioritize them. It’s easy to figure out your most important task. Think about which, of all your tasks, will carry the greatest consequences, whether or not it’s finished. That’s the key: to continually identify the consequences of completing, or not completing, a given task. 1. Make a list of all of your To Do’s. “A” items are your key tasks. There will be major consequences if you don’t complete these. Start on these first. A “B” item is “Should Do” but is not as important as an “A” item. There are only mild consequences to not completing these tasks. The consequences are only short-lived. “C” tasks have no consequences. They’re nice to do, but not essential. They will not contribute to your long-term success in your personal life or career. Remember that you should never work on a “B” when an “A” still exists on your list. The same goes for “C” items. Don’t work on these until all of the “B” tasks are complete. D’s need to be completed but should be given to someone else. In one word – delegate. The only time you should spend on these tasks is the amount of time it takes you to figure out someone to delegate the task to. “E” stands for eliminate. You can eliminate these tasks and there will be no consequences. If you want to free yourself to work on your A and B tasks you really need to discipline yourself to get rid of all tasks that can be done by others and to eliminate all non-essential tasks. 3. Put A’s in order of priority. You do this by placing numbers by each item. 1 for the most important, 2 for the next important, etc. You’ll end up with a list that looks like this: A1, A2, A3, … Next stick to A1 until there is nothing left to do on that task. If you truly want to double your productivity, you would be wise to adapt the ABCDE Method into your daily planning. Brian Tracy is a master at what he teaches, as demonstrated by his own success. Congratulations! You are a father now.” Abhinav, 30, was on cloud nine when he heard those six words. His wife Aarti had just delivered a baby girl, and the proud papa couldn’t wait to hold his tiny bundle of joy. The moment came…and Papa turned pale. ‘‘I’d never held a baby. So I sought help and rushed out to pick up Benjamin Spock’s parenting book,” recalls Abhinav, now father of two undamaged kids. That was 15 years ago. Cut to the present and you have GenX couples who prepare themselves to be parents months before D-day. They attend workshops, register themselves as members of online parenting groups, join interactive forums and prep up on everything about parenting – from how to change a nappy to which cream’s best for their baby. For some, the learning curve carries on beyond the toddler years. Enter the ‘parent coach’ – a concept popular in the West, it’s catching on in India as well. A parent coach is not a counsellor with a degree on psychology, someone you go to in times of trouble. Rather, s/he is a certified trainer who dispenses parenting gyan at monthly workshops for which you pay anything between Rs 1,000 and Rs 1,500. Take, for instance, the case of Vijay Kumar. The government officer didn’t know what to make of his 15-year-old daughter’s sudden change of behaviour. ‘‘She had become indifferent and wouldn’t communicate with us. I read up books, approached psychologists, but nothing seemed to work. Then my wife and I started attending workshops conducted by a parent coach. They also invited my daughter to one of the sessions. Today, I see a lot of difference in her attitude and my wife and I have also become better parents,” he says. A number of foreign universities offer certificate courses on parent coaching, and India will soon have one too. 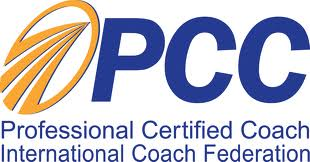 ‘‘We are planning to launch a three-month certificate course on parent coaching. We will tie up with a private university and our NGO, Atma Chetna will certify the course,” says Puneet, who got his certificate from the US. In the meantime, there are several organisations formed by parents themselves to address issues related to children’s education, like the Delhi-based Parents’ Forum for Meaningful Education (PFME). ‘‘We get together often and work out plans to take up issues like the homework burden on children, unnecessary examinations and student suicides. We meet principals of schools and discuss these issues with them,” says Kusum Jain, convenor, PFME. And if you thought social networking sites are only meant for youngsters, think again. There are around 25 Indian communities on parenting on Orkut, one of which reads: ‘‘Everything to do with kids – from their eating habits, sleeping habits, tantrums, going to school, falling sick to dining out, taking them out on holidays, reading bedtime stories, toilet training…” Community members hold debates on parenting and also meet up in person to learn from each other. Other than social networking sites, there are hundreds of parenting sites offering support and succour to harried folks. ‘‘I take out at least 10 minutes every day at work to read about children on the net. There are websites where you can post your queries to parent counsellors,” says PR executive Anju Agarwal, mother of a five-year-old girl. While parents may have gotten net-savvy, they haven’t stopped stocking up on parenting bestsellers. The market is flooded with self-help books like How To Talk So Kids Will Listen And Listen So Kids Will Talk and The Indian Parenting Book . Now whatever happened to good old parental instinct? EDMONTON – When life feels like a dark, endless tunnel, sometimes you need someone to help find the light at the end. For Deb Barszczewski and a growing number of North Americans, that someone is a wellness coach, a life coach specializing in health and well-being. Wellness coaches are paid motivators who guide clients to finding balance in their stressful lives by identifying problems, setting goals and helping them make behavioural changes that can lead to weight loss, more regular exercise, better management of stress. In Barszczewski’s case, Claudette Pelletier-Hannah guided the accounting manager through the aftermath of ending a rocky, 18-year marriage and struggles with her career. “Claudette put the tools in front of me to help me get back to basics. She gave me a lot of food for thought,” Barszczewski (pronounced Barshefski) says. “By the end, I found clarity — what I needed, where I needed to go, what I don’t want — as well as a lot of confidence and self-esteem. “I was also ready, and I think you need to be ready and accepting of that sort of self-analysis and be honest with yourself,” Barszczewski says. It’s a common problem for women to focus on themselves because they spread themselves so thin trying to be everything to everybody: daughter, sister, spouse, parent, employee, says Pelletier-Hannah. So to some women who first hear part of Pelletier-Hannah’s message, to accept that you are No. 1 can sound selfish. Marlene Peters is a member of one of two groups Pelletier-Hannah is currently coaching at the Institute for the Advancement of Aboriginal Women. The group of up to 14 women meet for an hour once a week for 12 weeks. In between meetings, they have homework, using a workbook that helps them become more self-aware and helps them set and achieve goals for a healthier life. Peters is trying to make positive changes around emotions and eating. Peters sees Pelletier-Hannah every week. Kristi Jarmus, on the other hand, completed the coach’s 12-week weight and wellness program without ever meeting her. Jarmus lives on Long Island, N.Y., and all of her coaching sessions with Pelletier-Hannah were done over the phone, which is the way most one-on-one coaching is done, even when coach and client live in the same city. Jarmus, the married mother of three, says she initially wondered how weird it was going to be, being coached by someone she had never met face-to-face, “because you can read so much about people from their facial expressions.” But their weekly hour-long phone sessions turned out to be very comfortable and very life changing. Jarmus had just completed a stressful family move from Winnipeg for her husband’s new job when the two women started talking. She had also recently turned 40 and thought it was a good opportunity to look at her life and make any needed changes, specifically targeting her weight ups and downs. “I have never been successful in maintaining weight loss as part of a lifestyle. I always looked at it as a diet,” Jarmus explains. By her second coaching session she discovered weight loss really wasn’t her number one priority, it was dealing with the anxiety and stress following the move that was causing her to eat more. “I hold no judgment because I’m on the outside. I’m very objective so my approach is different from a parent’s or a spouse’s,” says Pelletier-Hannah. Coaching doesn’t work for everyone. You have to be ready to make changes.If they are fully ready, she helps them move merrily along. If they’re not quite ready, she helps them reach another level, closer to being ready. Client Deb Barszczewski says she feels healthier mentally since her work with the wellness coach, and family and friends see a difference. – Life coaches and wellness coaches are not regulated, so take some time in choosing one. – A recommendation from a family member, friend or colleague is a good place to start. – Look for a coach with at least two years experience and who is certified by a reputable organization. – Credible coaches offer a free telephone consultation so client and coach can determine if they are on the same wavelength. – Clients should feel energized and more confident after a coaching session. – Terminate the relationship if it doesn’t feel right or if you’ve given it some time and made no headway.